A smartwatch is more than just an electronic wristwatch and a fashionable gadget. In conjunction with your smartphone, the intelligent and networked clock offers you all sorts of practical and useful functions. Receives information about incoming messages, whether SMS or calls. Some smartwatches even allow you to make phone calls directly to the device. Depending on which apps are installed, you can also use the watch as a fitness tracker for your training, for example. Should it be a Samsung Smartwatch, a Huawei Smartwatch or rather a smartwatch from Apple? Our great Smartwatch comparison here presents twelve different models in different price categories – from the Android Watch to the Smartwatch for iOS. We’ll show you which points are important in the selection and detail the uses of these stylish devices. In our guidebook section, we also answer many frequently asked questions so you’ll quickly find out which one is the best for you. The Samsung Gear S3 frontier Smartwatch is a high-quality Android-compatible smartwatch, which also moves in terms of its price in a slightly higher segment. It will not only impress you with its extremely elegant appearance, but also has a lot in store in terms of functions.The Smart Watch has a 3.3-inch or 1.3-inch Super AMOLED display and comes with a stylish silicone bracelet therefore – it looks almost like a normal wristwatch. This Samsung Smartwatch can be used to record your running and leisure activities thanks to the integrated GPS. The device also has an accelerometer, a position sensor, an altimeter, a barometer, a heart rate monitor and an ambient light sensor. It is dustproof and waterproof to IP68 standard. With its stainless steel case in grey and the blue-black strap made of silicone, the smartwatch has the look of a sturdy pilot’s watch. Practical is not only the always-on-display function, but also dial and bracelet can be easily adapted to your individual taste. The screen resolution is 360 x 360 pixels.Whether NFC, Bluetooth or WLAN – everything is on board. In addition, this Samsung Smartwatch comes with a flash memory with 4 GB. The 62 gram lightweight Samsung Gear S3 frontier smartwatch comes with the wristband in sizes S and L, an inductive charging station and a quick-start guide. 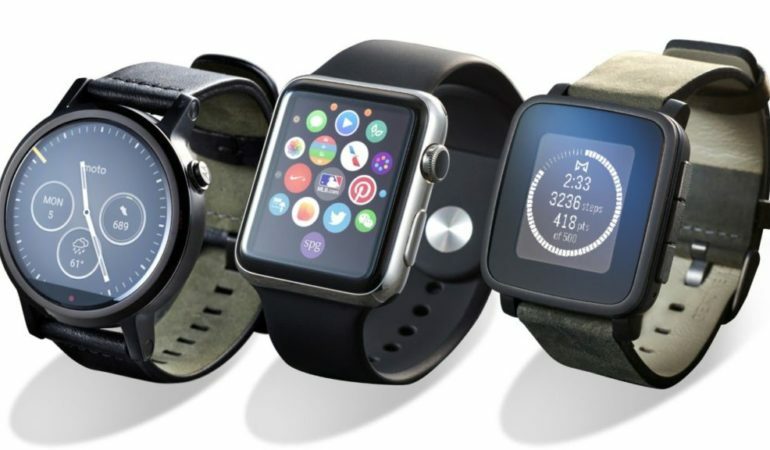 The style award in terms of smartwatch wins in the opinion of many the US cult company Apple. With the Apple Watch Series 3, the makers from California have developed a very handsome device that should prove to be eye-catching on any wrist. Naturally, the company can pay for this accordingly. Of course, this exclusive smartwatch is equipped with GPS. It also brings you numerous features to help you with your active lifestyle. This allows you to monitor your heart rate with the Apple Watch Series 3, you can use extensive fitness and workout applications and receive various notifications directly on your wrist. If you like to go swimming, this smartwatch is just about perfect for you because being waterproof up to 50 meters, this kind of sportsmanship will not hurt your watch. With Smart Coaching your personal trainer is already in the Apple Watch and will always motivate you to new top performances. The Apple Watch Series 3 is high-quality and numerous customer reviews as well as expert judgments show that you really get something out of the ordinary for your money, both visually and technically. The Apple Watch Sport is just right for you, if you have a rather narrow budget, but still want to treat yourself to a smartwatch of this iconic brand. For a comparably low price, you will get a stylish watch that can do much more than just look good. The Smart Watch comes with a 38 millimeter case in timeless silver , which is made of high quality aluminum. This complements great with the white sports bracelet, so you will wear a real eye-catcher on the wrist. The high-quality retina display with Force Touch is just as stable as it is robust. Various functions are on board. So not only a heart rate monitor, but also an acceleration sensor and a gyrosensor can be found. Even when swimming you can start the smart watch, because it is water protected. Of course, a GPS sensor must not be missing, as it belongs to an Apple Watch. Up to 18 hours of battery life guarantee you as the wearer of the Apple Watch Sport that the gadget can really last the whole day. In combination with your iPhone, you will soon not want to miss this useful companion in many situations. The Huawei Watch 2 Bluetooth Smartwatch is a professional sports watch that you can use in a variety of activities. If you put the purchase price in relation to the extensive package of features that you are offered here, no one can complain about the price-performance ratio. The Sport Smartwatch comes with GPS and GLONASS, so you’ll never again have difficulty finding your way around. The dual positioning system is ideal for precise tracking and extensive outdoor navigation. The operating system is set to Android Wear 2.0 and the device is protected to IP68 from water and dust. A few more technical details: The smartwatch features a 1.2-inch Corning Gorilla Glass AMOLED display and its 410 mAh battery. It is compatible with both Android and iOS. Without the associated sports bracelet, it is about 40 grams light. You can choose from a variety of training areas, from measuring heart rate to tracking and measuring distance and speed to calories burned and personal bests. Even your steps can be tracked. Directly on the dial, you’ll receive notifications about messages, calls and your most important apps. The built-in speaker and dual MIC allow you to make phone calls.With 4GB of memory you can store more than 200 songs directly on your device, so you always have your favorite music with you – even without your smartphone. Each Huawei Watch 2 has been given a high quality ceramic bezel, which is otherwise only used in luxury watches. 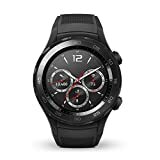 The Huawei Watch 2 Bluetooth Smartwatch, whose highlights include not least the continuous heart rate measurement, comes with a power supply, charging cradle, quick start guide and warranty card. The QIN II Smartwatch you can not see their almost amazingly low purchase price. For a pocket money, you get here a pretty Android & iOS smartwatch, that is, the clock is compatible with the two operating systems. So you can use it as both Android Watch and Apple’s iOS.At only 9 millimeters thick, this watch is ultra-flat and therefore a particularly elegant appearance. In addition to the ultra-flat classic design housing, the gadget also impresses with its variety of functions. Just download and install the associated app on iTunes or Google Play. You will then be able to receive WhatsApp notifications directly on the screen of your Smartwatch , or notify you via incoming Facebook messages, SMS or emails. Subtle tones or a gentle vibration make sure that you will not notice any unpleasant. 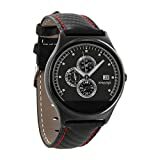 In addition, the smartwatch has features such as a calendar , a calculator or its own phone book.The built-in microphone and built-in speaker make it easy to use your watch as a Bluetooth headset and talk directly to your connected smartphone. The features of this watch include a pedometer that counts your steps taken, and also tracks your distance and calories burned. The heart rate monitor helps you monitor your heart rate and with the help of the sleep monitor you can analyze your nocturnal sleep. Your Bluetooth 4.0 4.0-inch QIN II Smartwatch turns into a different look every day of the week thanks to seven different design watchfaces. So if you like variety, this gadget is great for you. The delivery includes the right charging cable and a Quick Start Guide. And that’s just a selection of features that have been integrated into this watch. The device is compatible with both an iPhone and iOS 9.3 and higher, as well as with Android 4.4 and higher. The connection is via Bluetooth Smart Enabled. Show important smartphone notifications such as calls, text messages and updates directly to your wrist and control your music, whether you want to play it via Spotify, Soundcloud or Apple Music, in a particularly comfortable way. With its black stainless steel case and black silicone strap, this Fossil Smartwatch is an elegant look. Of course, the watch is also waterproof to IP67. The estimated battery life is one day, depending on how intense your use is. If you order the Fossil Q Explorist Men’s Smartwatch Gen.3, a convenient induction charger will be included to conveniently charge the watch. Also a quick guide and a guarantee booklet are enclosed. The TicWatch Pro Smartwatch is more than just a useful gadget. 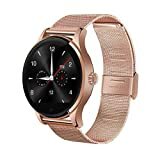 The smart wristwatch not only impresses with its attractive appearance, but also in terms of features a diverse package was laced, which should impress you. Thus, the smartwatch is also very suitable for use in your fitness training. A GPS tracker is built in as well as a heart rate monitor, a pedometer and a calorie counter. You can also conveniently use a comprehensive health and fitness suite with support for Google Fit and other applications. For example, with Wear OS from Google, your TicWatch Pro can help you daily update your calendar, define new fitness goals, or receive various notifications on your watch. Of course, you can also listen to your favorite music in a particularly comfortable way. Various apps can also be used more conveniently. Use the NFC payment to pay cashlessly via Google Pay with your smartwatch. With the “Power” button and the “Function” button, you can quickly and easily access the central functions of the device. The TicWatch Pro Smartwatch includes the following sensors: Dynamic Optical Heart Rate Monitor, Accelerometer, E-Compass, Gyroscope, and Ambient Light Sensor. The device is waterproof to IP68.Attention: You can only make calls with this Smartwatch in combination with an Android-Smartphone! 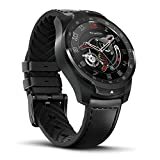 If you do not need a status symbol on your wrist or value the latest technical refinements, you should get this low-priced Bluetooth Smartwatch. You get here a solid device with quite appealing look offered, which has all the important functions. Just download the corresponding app on your smartphone and you can now connect the watch via Bluetooth with your phone and receive all kinds of notifications on the display of the watch, such as Facebook and WhatsApp messages. Even calls can be made and received through the smartwatch. Gladly you can set a vibration to be alerted to the notifications. The smartwatch lets you control music and camera remotely as if by magic, and you can also use it as a sports watch or pedometer. Whether pedometer, sleep monitoring, stopwatch or calculator, the features here really surprise. Also, a calendar function is included. The Bluetooth Smartwatch is compatible with most current Android smartphones, especially from Samsung. Unfortunately, it is not compatible with the iPhone. The highlight of the device is the IPS capacitive touch screen. The touchmonitor is very easy to use, even if you have not had much to do with smartwatches yet. With only 32 grams total weight, this smartwatch can be described as a real lightweight. You can see your speed and heart rate to find out when your ideal load on the sport is reached. Whether exercising in the gym or out, walking or riding, track your covered distances and analyze a range of other data logged by the smartwatch. To activate the display, all you have to do is raise your arm. Incidentally, it is a so-called transflective display, which means that the brighter the ambient light is, the brighter the screen display becomes. The battery life of the AMAZFIT BIP Bit Pace Lite Youth Smartwatch is approximately 22 hours during normal operation, with a fully charged battery lasting up to 45 days. If your watch is just monitoring your sleep and counting your steps, then even a battery life of up to four months is realistic. The LATEC Bluetooth Smartwatch is available at a very reasonable price. What exactly you get here for your money, we have put together here for you.Use the Smartwatch as a remote control for the camera of your Android smartphone and also control the playback of your music conveniently via the gadget on your wrist. Of course, you also have the very typical features of a smart watch available, such as the display of incoming SMS messages, WhatsApp and Facebook messages or calls. On the display of your smart watch you always keep track of all these things. If necessary, you can even make or receive calls directly . The smartwatch can also be used as a pedometer for your sporting activities. The sports watch reliably counts the steps taken by you and can also be used for sleep monitoring. Calendar, stopwatch and calculator are other useful features that you can access. The IPS capacitive touchscreen display ensures a particularly comfortable operation of your smartwatch. Ideally, you can use the YAMAY Bluetooth Smartwatch with a Samsung Galaxy Note 2, Note 3, or Samsung Galaxy S3, S4, S5, or S6 smartphone for full functional support. With an iPhone, you can not connect the clock. The manufacturer Fitbit is also known for high-quality smartwatches. Especially the newest model is recommended, because you benefit from a good battery life. If the energy storage is fully charged, the Fitbit Versa Health & Fitness Smartwatch can be used for up to four days. Also in the multimedia area you can expect good features with this model. The Fitbit Versa can accommodate up to 300 music tracks. In addition, many users who have tried this smartwatch praise the Coachings On-Display as offering various benefits. Continuous heart rate measurement is also available. The same applies to many different apps, dials or watch faces, so that all tastes will come at their expense.The Fitbit Versa is especially suitable for you if you want to use the smartwatch for training. So there are more than 15 different training modes, so that all the statistics of a workout can be easily measured. The GPS connection also has some advantages for runners. 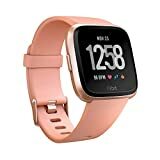 Both the pace and the distance covered the Fitbit Versa Health & Fitness Smartwatch namely always very good. For a humane purchase price, you can purchase the K88H Smartwatch. 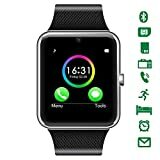 In this price range, you should expect no miracles, but you get an absolutely consistent performance package with many useful features.Easily synchronize your phonebook with the smartwatch, receive incoming calls, text messages and messenger messages or use the device to control your favorite music. Simply connect the silver and black smartwatch to your smartphone via Bluetooth and get started. Of course you can not only use the mentioned basic functions, but the device also includes a heart rate sensor, which allows you to monitor your heart rate automatically for 24 hours. Even a manual measurement is possible at any time. Other features of this watch include a heart rate monitor, a pedometer and a calorie counter. In addition, a sleep analysis can also be performed. With your iPhone, you can use the practical Siri function. Talk to your watch and your phone will do as you said, whether it’s news, calls, or retrieving the latest weather report. Caution: This watch is waterproof and dustproof according to IP54 only. That’s why you should definitely take them off while showering or swimming. The K88H Smartwatch has a 1.22-inch display with capacitive touch screen. The standby time of the battery is given as five days. Microphone and speakers are included. In addition to the watch itself, the delivery also includes a charging cable and the user manual. Smartwatch – what is it? The term smartwatch, like this device itself, is still quite young. It comes from the English and means directly translated nothing but “smart watch”. One understands by it electronic and “intelligent” wristwatches, which besides the function as a time indicator also various other things can. The smartwatch is grouped in the category of wearables. Smartwatches work in conjunction with your smartphone and so you can be displayed directly on the wrist next to the current time, for example, which calls are just received and who sent you an SMS or WhatsApp message. Through various apps, the functionality of your smartwatch can be upgraded according to your individual wishes. A smartwatch has different sensors so you can use it for your running or fitness exercises, for example. Here a little blurs the border to the so-called activity trackers. Whether in the business or private environment, a smartwatch brings a lot of benefits with it. In a sense, it could be described as a kind of extended arm of the conventional smartphone. Sometimes, the clock can even be used without your phone for various useful purposes. In the following, we’ll talk more about the capabilities of a smartwatch and provide you with lots of facts and trivia. Before you start buying a smartwatch, of course, you’d like to know a bit more about what these stylish gadgets can do. What functions do smartwatches have and how exactly do they work? We clarify you. The most important uses of a smartwatch include not only the classic time of day display but also phone calls and retrieval of messages such as SMS or messenger messages, navigation and activity tracking. Usually you connect the Smartwatch via Bluetooth with your smartphone. With some devices, this is also possible via WLAN. You can then see all sorts of information that is actually on the phone, directly on the display of the watch on your wrist. For example, this is especially useful if you are sitting in the middle of an important meeting, expecting meaningful messages, but do not want to mess around with your smartphone. A discrete look at the smartwatch is enough to be up to date at all times. Incoming calls or messages inform you either a short beep or a subtle vibration. Some smartwatches even allow you to make phone calls without being paired with your smartphone. Even as a navigation device, most smartwatches can be used. So you can in this context, your smartphone in your pocket and instead safely and come on the shortest path through the navigation function of your clock to the destination. The corresponding built-in GPS sensors make this possible in interaction with the appropriate software. 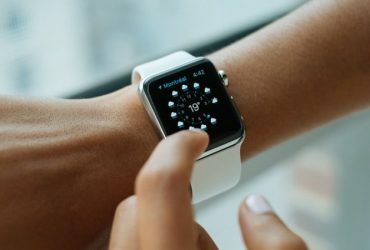 Other sensors that may be incorporated in a smartwatch include, for example, a position sensor, a barometer, a heart rate monitor or an ambient light sensor. Some devices can even be used as a remote control of your camera to make photos particularly comfortable and from special perspectives. A good smartwatch is not least characterized by a battery life of several days, and this always depends heavily on the intensity and type of use.Modern smartwatches have an NFC chip that allows you, for example, to make cashless payments using the services of Apple or Google. What are the pros and cons of a smartwatch? When the smartwatch hit the market, in the first euphoria some experts predicted a similarly rapid triumphal procession as the smartphone. For this it has not come at least in this form so far. The smartwatch is still relatively rare. Is that because it does not bring enough benefits? Or just that these many are not really known in detail? Here’s a list of the most important pros and cons of a smartwatch so you can make your own picture. As you can see, there is still room for improvement in the smartwatch on some points. So it will surely be unusual for you as a wearer, that the device has to be recharged at regular intervals, unlike your classic wristwatch. It would also be welcome if even more features than previously could be used independently of the smartphone. In terms of optics, there are already significant progress, so some smartwatches now look really chic and are sometimes barely distinguishable from a conventional clock. Especially novel features such as the ability to pay directly with the smartwatch, may lead in the next few years but still to the great breakthrough in these despite all the criticisms undoubtedly useful devices. Which smartwatch is the best choice? With which smartphone operating system – iOS or Android should the smartwatch be compatible? How big should the display be? Which functions in addition to smart notifications should the device still bring? Do you value a pedometer, heart rate monitor, sleep tracking and other sensors? Do you want a smartwatch that can be operated via voice control? Should a mobile payment with the device be possible? How much space should the wearable bring? Do you want a smartwatch that is waterproof? Should the model have its own SIM card slot? Which watch can I call on the phone? How important is long battery life? In addition, of course, the optics plays a certain role in such a purchase. Instead of heavy and clunky your smartwatch should certainly be rather light and stylish. In terms of colours, there is a pleasingly wide range of choices today. Last but not least, the price always plays a role. Think about how much you want to spend on the smartwatch and then narrow down the selection accordingly. How does a smartwatch help you live healthy? A healthy lifestyle is very trendy these days. Even if you value your fitness, a smartwatch is a very useful companion. Because with such a device, you can in many ways monitor your health and optimize behaviours. From counting steps to heart rate measurement and heart rate monitoring, the functions of a smartwatch are all that you can use comfortably at any time. Whether it’s the Apple Watch or an Android Wear Smartwatch, do something nice and monitor and analyze your movement with one of these smartwatches on your wrist. How do you use apps on the watch? You can use a variety of apps directly on your smartwatch. You already know most of them from your smartphone. The applications have been rewritten in an optimized way for the smaller displays so you can use them even more comfortably. Depending on the model you can call the apps in different ways. Whether GPS navigation or music player, not only in terms of Android Wear apps, there is a growing variety that you can fall back on. What types of smartwatches are there? Smartwatch is not the same as Smartwatch. Also in this area there are various types and model variants. There are different approaches to the distinction. Some divide the clocks according to whether they are compatible with Android, iOS or even two operating systems. Another option is to tell which sensors are on board. But there are also differences in connection technologies. Some modern smartwatches not only have Bluetooth and GPS on board but also NFC and WLAN. There are round and square displays and of course, some devices still present the typical look of a smartwatch, while others are barely distinguishable from conventional wristwatches. Maybe a mini-smartwatch is just right for you? Special outdoor smartwatches are not only characterized by their robustness, but they are also particularly waterproof and dust-resistant. What are the best-known manufacturers? Also, the Asus ZenWatch 2, the Sony Smartwatch 3 and one or the other LG smartwatch you may notice in your research. In addition, manufacturers in the field of Activity Tracker like to be called in this context, since the boundaries are sometimes fluent. These include companies like Fitbit or Polar. Which smartwatch is suitable for the iPhone? Android smartphones compatible smartwatches are like sand by the sea. However, if you own an iPhone, then the selection is already a bit more limited. Because not every smartwatch is iOS compatible. 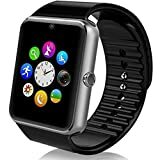 With an Apple Watch you will surely always make the best choice, because these devices come from the same manufacturer and therefore harmonize particularly well with your iPhone. So if you want to use the Smartwatch optimally, you should reach for an Apple Watch despite the high purchase prices. However, there are also smartwatches from other manufacturers that are iOS compatible, such as Fossil. It is best to read the respective product descriptions as carefully as possible to obtain the corresponding information. Buy Smartwatch – Online or in Store? o get you a brand new smartwatch, you can either make an extended shopping trip to the city or just browse the comfort of your sofa in the numerous online shops. For both variants there are both pros and cons arguments. We would like to give you a brief overview below. For a purchase in the shop on site speaks that you can look at the different models here with your own eyes and the watches can also try on directly . Especially with a watch, it is not even as insignificant as the wearing comfort, and also the appearance should play a big role. If you have questions about technical things, the sales staff will be happy to help you in the shop. Maybe there is one or the other smartwatch, yes, even in the special offer? The disadvantage, on the other hand, is that you first have to get to the corresponding shops. The search for a parking space can be lengthy and frustrating, depending on the location and time of day. Or you are traveling on public transport forever. In addition, you will always get presented in the store only a very limited variety of products. For online shopping speaks that you on the Internet expected an almost limitless selection. Which smartwatch is the right choice for you can be found here, for example, with the help of our great Smartwatch comparison. If you already know exactly which model you want to have, you will find the cheapest price on the net in the twinkling of an eye. The delivery takes place directly to your home – and during your shopping tour you are not tied to shop opening hours. Which alternatives to the smartwatch are there? As already indicated elsewhere, however, there are actually some overlaps in terms of product characteristics. Some smartwatches could also be grouped into the Activity Tracker or Sports Watch category and vice versa. One more reason to consider all possibilities and to inform yourself in many ways. When was the smartwatch invented? For a long time, smart wristwatches were more like utensils from science fiction films or agent thrillers. Really on the market, these devices have been around for a relatively short time. In 2003, Microsoft introduced its SPOT watch at CES in Las Vegas, which can be considered a prototype for today’s smartwatch. The MBW-150 presented by Ericsson in 2008 could then even be paired with a mobile phone via Bluetooth. Various sensors had the Chronos of Texas Instruments on board, which came on the German market in 2010. Communication with Android smartphones enabled the Meta Watch only a year later. A certain spirit of optimism in the smartwatch segment spread in 2012. So companies such as Sony, Casio and Pebble presented corresponding models. The following year, Google created Android Wear, an innovative platform for smartwatches. Only a little later, Apple also joined in the ring. The first Apple Watch was introduced in autumn 2014. As a result, there was some hype surrounding the smartwatch and so, among others, some well-known Swiss watchmakers decided to become active in the segment. These include Mondaine and Swatch. How do I maintain my watch? When maintaining and cleaning your smartwatch, you should be as careful as possible. It is best to make sure that it does not become too polluted to save you unnecessary effort. Nevertheless, every few months you should clean the clock thoroughly. Take the case with the display and the bracelet separately from each other. To clean the case of your watch, wipe it carefully with a dry and lint-free microfibre cloth. Thus, the procedure should normally be done already. If the device is waterproof, you can moisten the cloth slightly and, if necessary, add a little dishwashing detergent or dilute vinegar if it is heavily soiled. In case of doubt the following applies: Prefer something more carefully to the point and above all study carefully the operating instructions before! As an alternative to the microfibre cloth, you can also use a glasses cleaning cloth. The bracelet of the smartwatch depends on which material this is. Many models have a silicone bracelet. Just give it in lukewarm vinegar water or soapy water and wipe it carefully with a cloth. You can do something similar with a metal bracelet. Here, in addition to the soapy water, a mixture of water and baking soda is also available. If necessary, use a toothbrush to reach hard-to-reach angles. A leather bracelet should be wiped with a damp cloth and if necessary use special leather cleaners. Can I use a smartwatch without a smartphone? Normally you can not use a smartwatch completely detached from a smartphone. After all, it requires the coupling of these two devices, so you can access about the call function or the messages of your phone on your smart watch. The connection is made either via Bluetooth or WLAN. Some modern models, however, now even work without a connection to your smartphone, where the functionality can be partially limited here. Which smartwatch accessory makes sense? So that the functionality of your smartwatch remains in any case, you should play it safe and use only original accessories if possible.